Below are some carefully crafted Snohomish Tours to use for planning your individual trip including Snohomish County or useful for planing larger group travel. – Created by the Snohomish County Tourism Bureau for Washington State Tours. 11:00 am Arrive at the Port of Everett, board vessel. 12:45 p.m. Arrive back at port. 12:50 p.m. Board bus for Snohomish – The Antique Capital of the Pacific Northwest! 1:20 p.m. Arrive Snohomish for shopping, browsing…. 2:30 p.m. Meet at the Snohomish Pie Factory for pie and coffee. 2:45 p.m. Depart by bus via Highway 9 through Arlington. 3:15 p.m. Arrive at the Tulalip Casino. Welcome reception and time for gaming! 5:20 p.m. Arrive at Scuttlebutt’s Micro Brewery. Tour the facilities, enjoy hors’douevres and taste testing the micro brews. 6:30 p.m. Depart for the hotel. 8:00 am Full breakfast and overview of the day; area hotel. 9:00 am Depart for Whale Watch Tour to through the San Juan Islands with the Mosquito Fleet. 7:00 pm Return to Everett waterfront – fresh seafood and cocktails at a waterfront restaurant. Overnight; area hotel. 9:00 am Depart Everett waterfront via Snohomish River for Spencer Island and the Everett Everglades via Mosquito Fleet pontoon boat; naturalist or Audubon Society professional on board. (Spencer Island listed as one of the top 10 birding destinations in the Northwest). 10:30am Easy walk/hike to view birds and wildlife; bring binoculars and tripods. 11:30 am Box lunch on board the boat. 1:00 pm Return to Everett waterfront. 1:15 pm Depart Everett waterfront for Highway 2 to Wallace Falls State Park. 3:00 pm Extended hike to falls with cold drinks and healthy snack at viewpoint; photo opportunity. Picturesque hiking along the entire route. 6:00 pm Dinner and cocktails at funky diner (Bush House in Index or similar). 8:00 pm Return area hotel for overnight. 7:00 am Full breakfast and overview of the day; area hotel. 8:00 am Depart for Darrington Ranger Station via Arlington. 9:30 am Fresh coffee break at Mount Higgins House B&B on the river; 75 acre farm with views of Whitehorse peak. 10:15 am Forest Service personnel and naturalists provide history and background of the Mountain Loop, fire lookout stays and Wild and Scenic Rivers. 10:45 am Depart for a river raft adventure on the Sauk River; safety equipment provided. 1:00 pm Pull out on the river for picnic lunch. 4:00 pm Return to Darrington Ranger Station for trip back to town via the Mountain Loop Highway, Monte Cristo and the Big Four Ice Caves. Beverages and snacks on board. 6:00 pm Return to hotel to change clothes and rest. 7:00 pm Salmon Bar-B-Q and local microbrew at area hotel. Time Period: Best in late spring, summer, and early fall months. Some components of the following tour are only available in the summer season. Call the Snohomish County Tourism Bureau for details. 888-338-0976. Arrive at SeaTac Airport, then begin your nature adventure at the Seattle Aquarium, resting on one of the most diverse aquatic habitats on Earth. World-class exhibits and an underwater viewing dome take you close to the wonders of marine life. Enjoy lunch or mid-morning cup of coffee depending on your arrival time to the Emerald City. Proceed to a guided tour of the Chittenden Locks and fish ladder which connect the fresh-water lakes to the salt-water Puget Sound and allow salmon to migrate upstream. An amazing view of how urban and natural environments co-exist. Check into your hotel, then enjoy dinner at the hotel, with a nature-oriented speaker as entertainment and education as you begin your nature discovery tour. Start your day off with an Everett Everglades tour! Over 350 species of migratory birds pass through the largest wetland near an urban center on the west coast. Eagles, falcon, heron, and seabirds make their home in the 1400 acre estuary wetlands. Join Mosquito Fleet for their guided tour on board a flat bottom boat, or explore the wetlands by kayak. Kayaking is a great way to view wildlife, and the Ebey Island estuary wetlands reserve has sloughs and rivers to get you close. Scuba diving off the beach in Edmonds is an exhilarating experience. The Edmonds Underwater Park, located just north of the ferry terminal, attracts scuba diver from across the nation. Starfish, anemone in all shapes and colors, crab and fish are just a few of the underwater sights to enjoy. For a less active approach to wildlife viewing, the March Wildlife Sanctuary Trail interpretive signs border the marshland and bird watchers are rewarded during spring and fall migration. Deer Creek Fish Hatchery is another suggested stop in this waterfront community. The hatchery releases over 100,000 salmon annually. 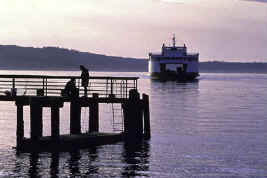 Other stops could include a ferry ride to Jetty Island from the 10th Street dock in Everett. With two miles of sandy beaches and the warmest water in Puget Sound, enjoy beach combing and marine programs offered by the Everett Parks Department. End your day’s itinerary at the Tulalip Fish Hatchery on the Tulalip Indian Reservation before trying your luck at the Tulalip Casino. Orca whale watching excursion aboard Mosquito Fleet, departing from the Port of Everett. This full day program guides you through spectacular Deception Pass and the San Juan Islands. A professional naturalist helps to identify local wildlife, locating and identifying the most studied Orca whales in the world. History of the islands and the Puget Sound eco-system are in store while you view the abundant marine wildlife. After your day at sea, pamper yourself with a Washington white wine and a delectable meal at Anthony’s HomePort Restaurant, Confetti’s Woodfire Grill or Lombardi’s Cucina on the Everett marina. Take a ferry to Whidbey Island, and visit Camp Casey for a lesson in marine science. The Beach Watchers interpretive display at the Admiralty Head Lighthouse at Fort Casey records marine life facts. Take a ferry to Kitsap Peninsula and enjoy lunch in Port Townsend before heading to the Naval Undersea Museum in Keyport or the Marine Science Center in Pouslbo. The museum provides a glimpse into the past of undersea warfare and exploration as well as natural science interpretive exhibits. The Science Center offers interactive exploration of sea life from Liberty Bay. If the Kitsap Peninsula is a bit too far for you to travel on this day, stay on Whidbey Island. The historic village of Coupeville has a preserved whale skeleton off the pier…worth a close up look of the skeletal remains of this amazing creature. Don’t miss the wonderful shops and galleries of this wonderful village as you enjoy a more leisurely pace. For the flora portion of your nature tour, Meerkerk Gardens offers a spectacular vision as the rhododendrons bloom from mid-April through May, but the park is a beautiful haven year round. The 53-acre park is located just south of Greenbank on Whidbey Island and is maintained by the Seattle Rhododendron Society. This is just one of the many gardens on Whidbey Island. You’ll be exhausted and invigorated at the same time after your day of exploration, but leave enough time and energy to dine at one of the waterfront restaurants as you watch the sun set. Your final day begins at the Northwest Stream Center. An environmental education (including laboratory experiences) and interpretive facility located at McCollum Park in Everett is a restored wetland. This wetland and salmon stream was heavily impacted by urban development. The Adopt-A-Stream Foundation located the Northwest Stream Center on these grounds as a project to restore the wetland once buried by a parking lot! New spawning beds and fish habitat structures, and diverse habitats including wetland, mixed forest and salmon spawning stream are located within the 20-acre site. In any of the communities, expand your nature tour to include river rafting, farmers markets, gardens and nurseries, agricultural tours of organic farms, forest hikes, and zoos and wildlife farms or ranches. For more ideas, contact Amy Spain at the Snohomish County Tourism Bureau at (888)338-0976, extension 12, email us at amy@snohomish.org or visit our website at www.snohomish.org. Option 1: Walk charming historic Snohomish downtown; visit shops. Option 2: Cycle, stroll or rollerblade Centennial trail; bikes, roller blades and safety equipment provided. 11:00 am Tour historic Victorian homes. 12:00 noon Lunch at local tea house or similar. Desserts by Snohomish Pie Company. 1:15 pm Depart for Mukilteo Lighthouse. 2:00 pm Tour Mukilteo Lighthouse. Afternoon lattes at famous Mukilteo Coffee House en route to Boeing Tour Center. 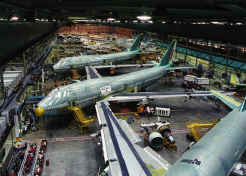 3:00 pm Visit Boeing Tour Center. 6:00 pm Arrive Edmonds for dinner and cocktails at Anthony’s or Arnies on Edmonds waterfront. View sunset over Olympic Mountains with Washington State Ferry in the foreground. 8:00 pm Theatre and overnight in local hotel or B&B. 6:30 am Early risers meet for organized walk of Yost Park Ravine Trails or Wildlife Sanctuary boardwalk. 8:00 am Full breakfast Edmonds area B&B. 9:00 am Tour Edmonds in Bloom areas, visit public art and museum, stroll the charming streets, browse the galleries; walking tour map provided. 12:00 noon Picnic and beach combing at Meadowdale Park. In the event of rain, lunch at 5th Avenue Cafe ( or similarly charming eatery) in downtown Edmonds. (Umbrellas provided for walking tour, if needed). 1:00 pm Depart Edmonds for Everett. 1:20 pm Arrive Everett for the Arts Walk. Dale Chihuly, famous glass artisan affiliated with the Pilchuck School of Glass. Chihuly glass art exhibited in Everett’s historic Monte Cristo Hotel. Other works displayed at the Everett Performing Arts Center, and other area galleries. 4:00 pm Depart Everett for the Tulalip Casino in Marysville. 4:30 pm Welcome cocktails, dinner and gaming chips provided. 7:30 pm Earlier risers return to area hotel. 11:00pm Night owls return to area hotel.